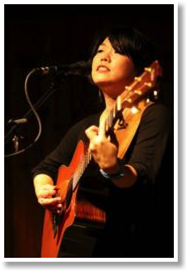 A native Texan, Betty Soo encompasses various emotions and influences with her lush songs, strong vocals and lyrical of song structures. Soo, who is a second-generation Korean-American, started writing and recording music in 2005 after recruiting members of her church’s band. Her poignant lyrics and uncompromising presence have garnered her many accolades including songwriting awards from the Kerrville Folk Festival as well as the Big Top Chautauqua Songwriter of the Year. Her newest release, Heat Sin Water Skin, has been awarded much praise for her gritty and heartfelt renditions of love and life. The album was recorded with producer Gurf Morlix, who has worked with the likes of Lucinda Williams and Slaid Cleaves. Soo also made her showcase debut at this year’s South by Southwest Music and Arts Festival. Soo is currently on tour in support of her latest album, but she took time to complete this interview with Jupiter Index. Mark Lopez: How did your family background shape your music? 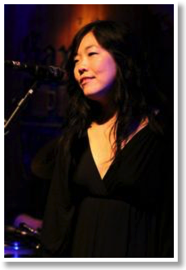 Betty Soo: My family is very musical. My parents raised us with lots of classical music, and my sisters and I all took piano lessons from an early age. We also learned to play other instruments, and we all sang together at home and at church. All of my sisters (older and younger) have contributed to the music I listen to - and I think all music we hear shapes us, whether we want to admit it or not. Even music that isn't my favorite affects me somehow. I grew up with classical, country, rock & roll, pop, new wave, folk, rap, hip hop, all kinds of stuff. And it's all still inside me somewhere. When you were younger, were there any singers you tried to emulate? I have definitely always been a Beatles fan. Julie Andrews was a star in our house, too. Among us, I think my family could recite the entire Sound of Music film, we've watched it that many times. I've always loved the Judds, Shawn Colvin, Mary Chapin Carpenter, the Indigo Girls, Trisha Yearwood, not to mention Paul Simon, Lyle Lovett, Emmylou Harris - there are too many to name. My greatest vocal coach, though, are the countless Ella Fitzgerald albums I own. I never sang in choir growing up; I was more of an art kid in school. But singing was always part of my life. Your lyrical style is very poignant. What is the writing process like when you're about to record an album? I wish I could be more conscious in the choosing of my genre. Because then I'd write something way more popular! I'm half kidding, of course. I love Americana music (whatever that is), but what I write is just what comes out of me. Sometimes I write very poppy pop songs, sometimes I write very country songs, sometimes I write art-rock songs. But the songs I knew I wanted to record at the time I started Heat Sin Water Skin which seemed to fit together best were all in this vein, so it was a natural choice to produce them this way. How do you think your latest album compares to your previous releases? I think and hope I mature with each album, as a singer, a writer, as an overall musician. I definitely get a little more assertive in saying how I want my songs and my album to sound, which is freeing and scary at the same time. You've recently performed at Kerrville Folk Festival, how was that experience for you? What a total THRILL and BLAST!! It was such a huge privilege and the realization of a dream to be on that main stage. I saw so many people in the audience who have given to me in huge ways: hosted house concerts, let me stay in their homes, supported me, fed me - I could go on and on. So it was a gift to look out and see their supportive faces cheering me and the band on. But it was also awesome to take in how many amazing musicians had been on that stage for the past 38 years - and I got to be in their company in some small capacity now. It was humbling, exciting, and REALLY fun. My mom was in the audience - her first time at Kerrville - and she loved it too. That may have been one of the top highlights for me. How do you feel a festival environment differs from a venue? They're different in the intimacy, in the control of sound, the size of the crowd and other obvious external aspects, but they're really not as different as one might think. Is there one you like more? I don't think I have a preference - I hope to keep doing both! What are your hopes and dreams for your music in the future? I want to keep making music that moves people. I want to write songs that inspire other artists and listeners, to sing and play in a way that serves the songs, and to make products that are excellent in every way I am able to make them so. I would love it if one day even just one of my songs was known by a whole generation. I want to never have to get a day job again. I want everyone I'm involved with to feel like they're getting a good deal: agents, venues, fans, band members, friends, everyone. I want to give to musicians coming up under me the way musicians have lent their kindness and experience to benefit me...so I hope to be in a position to do that someday! Do you have any other parting words on your music? I believe I have the best job in the world. I'm grateful for it.